Home Hurricane Protection does take a plethora of forms, chief among them being the common practice of using Hurricane Panels on windows and doors. Also called shutter systems of simply Hurricane shutters, these specialized window coverings can keep homes safe during the most severe weather conditions. They will withstand stones, debris and strong winds to protect the entire structure up until the unforgiving storms die down. Furthermore, these storm panels are very reliable; these features guarantee a low-cost line of defense for the home. Once the torrid period is over, the panels only serve as part of the house’s exterior attractive curb. Taking care of your home, including renovating it isn’t a one-off procedure. It is something you will do several times every year, ostensibly depending on the state you live in among other factors. In countries where Hurricane and devastating storms are a norm, taking the right steps to minimize the damages of the winds and rain involves erecting permanent and temporary physical protections. According to their materials, Hurricane shutters can be made of plywood, metal or just polycarbonate plastic. Out there, however, Hurricane panel types are classified according to how homes need them, apart from getting solid protection. Permanent mounts have been modified to include a subtle touch of elegance while temporary ones could be less-attractive, though equally functional. Mainly, these types of Hurricane panels are made of polycarbonate, steel, or aluminum for consistent protection owing to the severity of the storm. Storm shutters are erected onto windows for the impending dangerous storms only. Some are bolted to the facade of the home or hammered and later removed once the winds are no more. Made of polycarbonate or high-quality metal, rolling shutters, as they are called, serve as a lasting addition. They are some of the strongest and effective shutters, yet versatile enough to be pulled back up once they are no longer needed. To roll them down, one just pulls to unroll mechanical or automatic cranking mechanism as they mimic modern, sophisticated garage doors. Accordion-style hurricane panels aren’t as popular as the others. They are hinged panels, metal or polycarbonate-made and bolted to both sides of the window. Basically, they are unfolded and locked together in the middle of the window and later released once their purpose is over. The best thing about this panels is, they are designed to last. They aren’t the best for accenting the look of a home, and that’s why they are mainly used for temporary protection. Another demerit of using Plywood is how heavy and cumbersome they are. Nevertheless, they are inexpensive and readily available. For a distinct aesthetic appeal to the home’s exterior, Colonial Hurricane panels are yet another popular choice. They are made of aluminum, polycarbonate or traditional wood and assume a bi-fold or tri-fold design. These are the main types of hurricane panels. This entry was posted in Impact Windows & Doors Tips and tagged hurricane panels, hurricane protection, impact windows, panel. Bookmark the permalink. 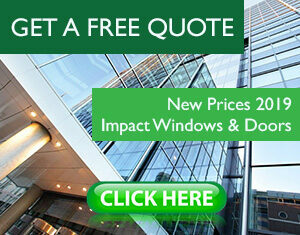 ← Do you know you can get impact window financing?